It's halftime on 2017. Summer has officially arrived. Can you believe it? A perfect time to … add veteran industry professionals to our organization. Julia O'Neill, Principal, Tunnell Consulting, Inc.
All three have in fact already contributed to OutsourcedPharma.com articles, and have been active at our conferences – O'Neill, for example, has been a key moderator at all three conference venues (San Diego, San Francisco, and Boston). Here are some of their thoughts on the bio/pharma outsourcing field here in mid-2017. "We are now securely on that outsourcing journey from a focus on unit-cost to one on the co-creation of value," says Ekambaram, who has a 25-year track record of success in the manufacture of vaccines, biologics and sterile drug products. Yes, similar sentiments on the bio/pharma industry have been expressed in these pages, and discussed at our conferences. But Ekambaram says he's grown certain the trajectory is both real and sustainable, and insists "Pharma is experiencing a shift in the way we use outsourcing." Ekambaram manages the technical support for Merck's sterile-drug products manufactured via their global network of CMOs. He sees a a mind shift taking place in the industry concerning external manufacturing. At Outsourced Pharma Boston 2017, he extrapolated thus: "The former approach to the buyer-seller market for outsourcing services was based on two questions: Do you have the capacity for my product, and how cheaply can you do it? "What I call ‘Outsourcing 101' was really based on notions about bringing down cost.We want you to do the same thing we do internally, but do it faster and cheaper. It was a flawed model, and I'm glad it's receding as a way of doing business." "The discussion has shifted towards capability," says Ekambaram, "For a Big Pharma with internal and looking for external assets, the question is of capabilities and complimentary skill sets. Big Pharma performs searches based on identifying those complimentary skill sets that create real value … for both parties. Value creation is the emphasis even when focusing on capacity questions. This is where the buyer-seller paradigm in pharmaceutical outsourcing has shifted." At the same time, Ekambaram acknowledges the built up pressures on Pharma – both external to and industrywide – for cost reductions. "But even in this environment," he iterated to me recently, "that focus on unit cost is giving way to this broader approach of co-creating value. How can innovator companies and suppliers work together to create value? While there are strong cost pressures, other emerging trends require companies to work together in new ways. Companies must develop a deep understanding of each other's core capabilities. I believe this will be the basis of future relationships – the co-creation of value." Butchko is Senior Director of Quality Assurance for Lilly in Indianapolis, supporting the company's product R&D organization. With over 17 years of experience, he's been actively involved both as a chemist and manager on the active pharmaceutical ingredients (API) and commercial manufacturing activities Mark provides quality oversight for internal and external cGMP activities for Lilly's clinical development pipeline, and interacts extensively with global collaboration partners, and regulatory agencies. What took me by surprise when I spoke with him at our Boston conference was his enthusiasm for getting the word out to drug developers throughout the industry – from startups to Pharma – to think earlier and more seriously about packaging considerations. "Significant complexity exists within those unit operations that is often not appreciated until after problems arise," Butchko says, "particularly in the clinical-trial materials space." He talks earnestly about such things as the "intrinsic complexity associated with running double-blinded clinical studies, and the required packaging controls." He says decisions made early in development impact the future of the product more than is often recognized. "Finding service providers that combine expertise, well-established capabilities, and capacity is not trivial for any company." Butchko's enthusiasm for this subject helped us create our Spotlight Technology session at the upcoming Outsourced Pharma San Diego event. We titled the session: Yes, you need to take the pulse of packaging now. Butchko, of course, has signed up to be a panelist for that session. As briefly mentioned in our introduction, O'Neill of Tunnel Consulting has played a major role at our conferences. She provides an important element Outsourced Pharma subscribes to in our quest for authentic discussion between drug owners and external service providers. Let's call it "positive provocatism." I'd encourage readers to (re)visit this article from an O'Neill-moderated panel at a recent conference: "Top (Secret) Quality Concerns For Selecting CMOs: How Important Are Records?" In our limited space here, I'll provide one example of our pursuit of coaxing open dialogue, by quoting from comments O'Neill made as moderator of a recent Outsourced Pharma discussion. "I'm a chemical engineer, a statistician. I worked 20 years in papermaking and the chemical industry before joining Merck, where I spent ten years in vaccines and biologics, tech ops and statistics. As a consultant, my experiences with the FDA have ramped up; I find them interested in learning, interacting, and modernizing. Last year they asked me to do a seminar on process capability that was followed by a full-day course on CMC statistics I gave there. I'm impressed with the way the FDA wants to keep up with the latest thinking, and become a partner with drug companies. The FDA should feel more like a partner for the advancement of innovation and technology, instead of being used as a reason not to innovate." "… I scratch my head every time I hear us talking about how challenging it is to do continuous manufacturing. I wonder if the reasons are regulatory … or the perception of regulatory barriers. "In the early 80s, as a process engineer in a paper mill, I was responsible for a paper machine that ran 60 miles an hour with online and real-time multivariate control. The same thing in the chemical industry. The technology for continuous manufacturing has been around a long time. It has puzzled me why the pharmaceutical industry has been slow to adopt. We heard some legitimate technical reasons why, but I think we often fall back on the excuse that we can't make changes because of regulatory requirements. "There's some truth in that, but we talk about how our products have this ‘special place in safety.' I got a text earlier this week from my daughter in Pittsburgh, from the inside of a self-driving car. You want to tell me safety isn't important for that industry, as well as so many others? We don't have a corner on the market on safety concerns. We ought to find a way to overcome our manufacturing barriers." 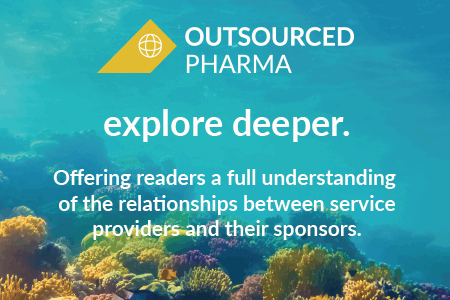 It's clear that working with our current and new board members like Ekambaram, Butchko and O'Neill, all of us in the Outsourced Pharma community will continue to meet challenges head on, make the most of emerging opportunities, and lead the efforts for both. Time now for the second half of the year.